Happy Democracy Day, Canada! Or Is it? How should Canadians celebrate Democracy Day? Obviously, relative to the rest of the world we don't have much cause to complain. And yet, we could do so much better. Wait, what? That's not even...huh? That's right, Sept. 15 is the International Day of Democracy. The fourth annual! Apparently. I know, I hadn't heard of it either. I only heard about it because Fair Vote Canada is holding events all week discussing democracy. 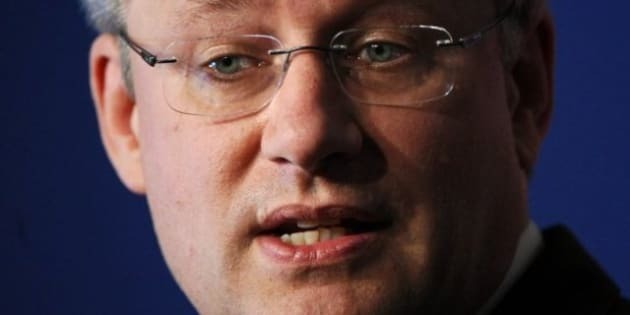 So, for my first post on HuffPost Canada I was planning on pointing out how Prime Minister Stephen Harper's claims to a strong mandate for his government's legislative agenda are misplaced given that his party only received 39 per cent of the popular vote. However, in doing the research for it I found something even more depressing. The Conservative Party did only get 39.6 per cent of the popular vote and this is historically quite low for majority governments. Unfortunately, Canadians almost never get a government that more than half the country voted for! Take a look at this depressing summary of all the elections from 1867 up to 2008. Sigh. I say, sigh. And yet, we could do so much better. There are so many issues that are important for our society that involve the machinery of our democracy rather than particular social or economic beliefs. Whether it's Senate reform/abolition, the place of the monarchy, electoral reform and proportional representation, public campaign financing, local elections, town halls, voter turnout, the youth vote, prorogation, primacy of parliament, televised debates, taxes, the census, etc. Everyone has an opinion about these issues, whether they are Conservatives, Liberals, NDPers, Greens or anyone else who refuses one of these labels (hand's up!). So, discussions about the workings of democracy should be non-partisan but most importantly they should be ongoing. Right now is a perfect time to have this discussion. Canada is in the midst of its second major political realignment in 20 years. The centre-left is now splitting its vote the same way the right did after the PC party collapsed. The Bloc, a literal blockage in the normal parliamentary process has apparently vanished, and for the first time in our history, a completely new, official (and loyal) opposition has risen that isn't simply a rebirth of a previous party. How will the NDP be affected by the tragic loss of Jack Layton just at their moment of ascendancy and his inspiring last call to action? There are many unknowns right now. But right now we have an interlude while parties find themselves, pick new leaders and while the Conservatives enact some of the projects they have longed for. For all the storminess we've had over the past 20 years with party restructuring and minority parliaments, I don't think the storm has passed yet. More likely, we are now in the calm in the center of the storm. When the next federal election approaches, the storm will return and all we know for sure is that it will be different than before: with the Bloc reduced, the Liberals rethinking their purpose, the NDP trying to prove themselves and the Greens having a better case of not being ignored. Before all that starts in earnest, now is the perfect time to discuss what it is we, the voters, want our democracy to be in the 21st century. Some of this discussion is already happening online (on blogs, on twitter, ...) and sometimes on tv and radio, but is it enough? Are we having a national discussion about our democracy? Shouldn't we always be having that discussion? So maybe the best way celebrate democracy day, in this moment of calm in the eye of the storm, is to start that discussion in some way, even if it's just sitting down with a friend over coffee and fixing one cog in the machine.